Tawana Resources has agreed to proceed with its 100 per cent acquisition by Alliance Mineral Assets, following fears that the merged company might not be able to trade on the ASX. Tawana Resources and Alliance Mineral Assets have secured a long-term offtake agreement for its high-grade tantalum concentrate from the Bald Hill mine on the back of strong prices. 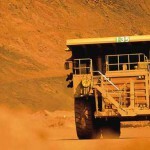 Tawana Resources has secured crucial funding that is expected to cement its future as an Australian-listed company following a proposed merger with Singapore’s Alliance Mineral Assets. Joint venture partners Tawana Resources and Alliance Mineral Assets have achieved commercial production at the Bald Hill lithium mine in the Eastern Goldfields, Western Australia. Tawana Resources’ proposed merger with Alliance Mineral Mineral Assets, first announced in April, has been given the go ahead by the Australian Government. Tawana Resources and Alliance Mineral Assets, the joint venture owners of the Bald Hill mine, have boosted the reserve at the Western Australian lithium-tantalum operation. Shipments of spodumene concentrate from the Bald Hill lithium-tantalum mine in Western Australia are set to start in early May. Bald Hill lithium project joint venture partners Tawana Resources and Alliance Mineral Assets are planning a merger to consolidate ownership of the Western Australian operation. Joint venture partners Tawana Resources and Alliance Mineral Assets have launched lithium production at the Bald Hill mine in the Eastern Goldfields of Western Australia. Tawana Resources, with joint venture partner Alliance Mineral Assets (AMAL), has started commissioning of key infrastructure at the Bald Hill lithium-tantalum mine in the Eastern Goldfields of Western Australia. Tawana Resources, with joint venture partner Alliance Mineral Assets (AMAL), has executed a non-binding term sheet with a leading industry specialist for the offtake of tantalum concentrate production from the Bald Hill lithium-tantalum mine in the Eastern Goldfields of Western Australia. The Bald Hill lithium mine being developed by Tawana Resources and Alliance Mineral Assets in Western Australia is on track to start production this quarter. Lithium developer Tawana Resources says its Bald Hill joint venture project in the Eastern Goldfields region of Western Australia is on track to be producing early next year. Up-and-coming Australian company Tawana Resources — one of the largest movers in capital growth according to Deloitte’s WA Index top 100 list from Diggers & Dealers 2017 — has finalised funding for its Bald Hill lithium and tantalum prospect. Tawana Resources and Alliance Mineral Assets Limited (AMAL) have received environmental approval to construct and operate a 1.2mtpa dense media separation plant at the Bald Hill lithium-tantalum joint venture in Western Australia.